AUCKLAND Point is where P&O Cruise ships will berth when they visit Gladstone, with the ports corporation confident the ships can be brought in. P&O Cruises announced on Tuesday that Gladstone would be the next port of call for up to 10,000 passengers a year from 2016. Four calls to Gladstone, and a fifth on a longer tour, are included in P&O Cruises' new 2015-16 cruise schedule. The cruises, scheduled from May to August 2016, have great potential to open up the Southern Great Barrier Reef experience, highlighting spectacular local attractions in the Gladstone area. Gladstone Ports Corporation CEO Craig Doyle said Auckland Point was the berth of choice. "There's no use worrying about what they can do if we can't get the boat in," he said. "We've been heavily involved to make this happen, we've looked at it and we're comfortable we can bring them (P&O cruise liners) in with our tugs." GPC staff visited the Brisbane wharves to see how security and loading worked, but Mr Doyle said more detailed plans would be developed over the next year. 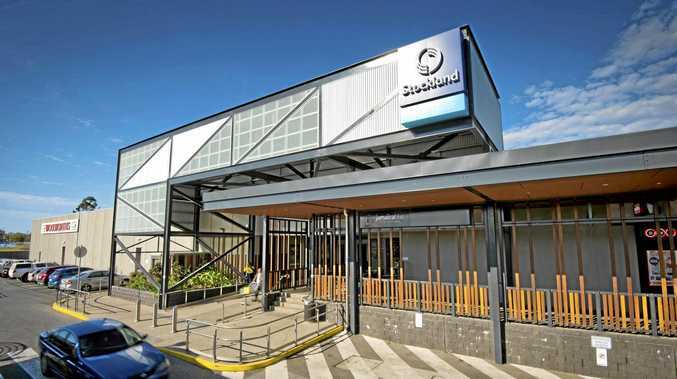 Gladstone Area Promotion and Development Ltd CEO Glenn Churchill said the tourism coup had been a work in progress since 2007. "People who say it can't be done, should get right out of the way of those who are already doing it," he said. "We can make this happen. Now it's about getting our tour operators and businesses ready." He said a third-party operator would be brought in to help professionally orchestrate activities, while GAPDL would hold a roadshow in October to show off the region. Gladstone Mayor Gail Sellers said she was delighted by the news. "Not only is Gladstone the gateway to the Southern Great Barrier Reef, but passengers will also be welcomed by the $45 million foreshore re-development which will provide a world-class family and lifestyle precinct," she said. P&O Cruises CEO Ann Sherry said Gladstone was among a number of regional ports that would now take their place as regular cruise destinations benefiting from visits from thousands of cruise travellers. "We know that the Gladstone community has looked forward to this development and their support is warmly appreciated," she said. There are rumours rival company Royal Caribbean may also be interested in making Gladstone a port of call.